The American Heart Association recommends that you keep your total fat intake limited to 35 percent of daily calories, with monounsaturated fat accounting for up to 20 percent of your daily caloric intake. Monounsaturated fats benefit your cardiovascular system -- they lower LDL, the type of harmful cholesterol linked to heart disease, while raising the level of HDL, or "good" cholesterol. Foods rich in monounsaturated fats include nuts, oils, fish and other plant foods. Many vegetable oils are rich in monounsaturated fats (also known as oleic acid). Those that offer the highest monounsaturated fatty acid content include high-oleic sunflower or safflower oil, as well as hazelnut, olive, canola, avocado, almond, peanut, corn, sesame, rice bran, soybean and cod liver oils. Soft tub margarine-like spreads made mostly from olive or canola oils are also rich in monounsaturated fats. 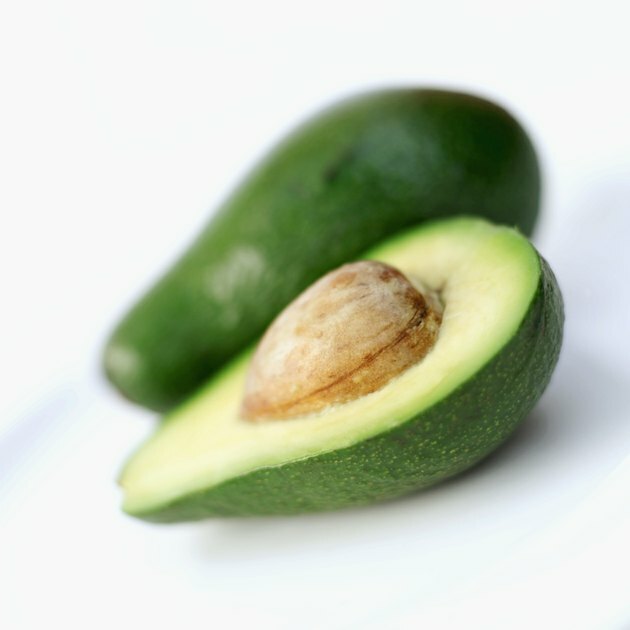 Only two fruits--avocados and olives--are rich sources of monounsaturated fats. 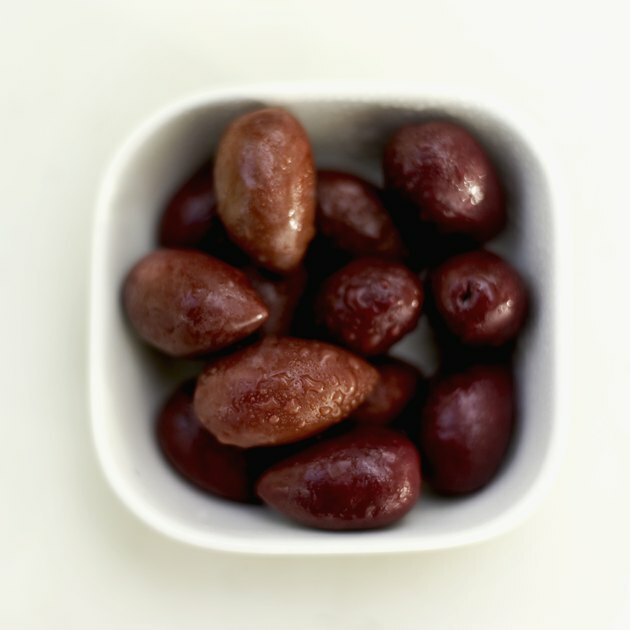 They each provide roughly 10 g of monounsaturated fat per 100-g serving. Hazelnuts (or filberts), macadamia nuts, pecans, almonds, pistachios and cashews are rich food sources of monounsaturated fats. 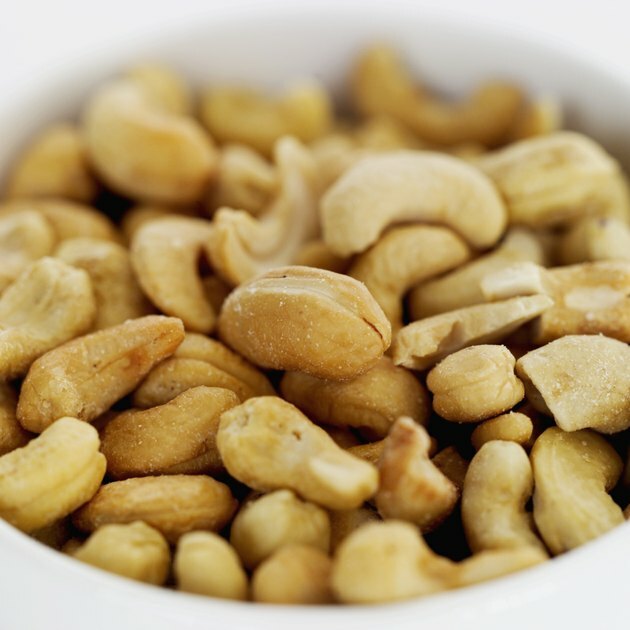 Thus, cashew and almond butter are also rich in this heart-healthy fat. Peanuts are the legume that is richest in monounsaturated fats. Peanut butter is also an excellent food source of this fat. Sesame seeds, as well as sesame seed butter or paste -- also known as tahini -- , is high in monounsaturated fatty acids. Sunflower seeds and sunflower seed butter, pumpkin and flaxseeds provide some monounsaturated fat. 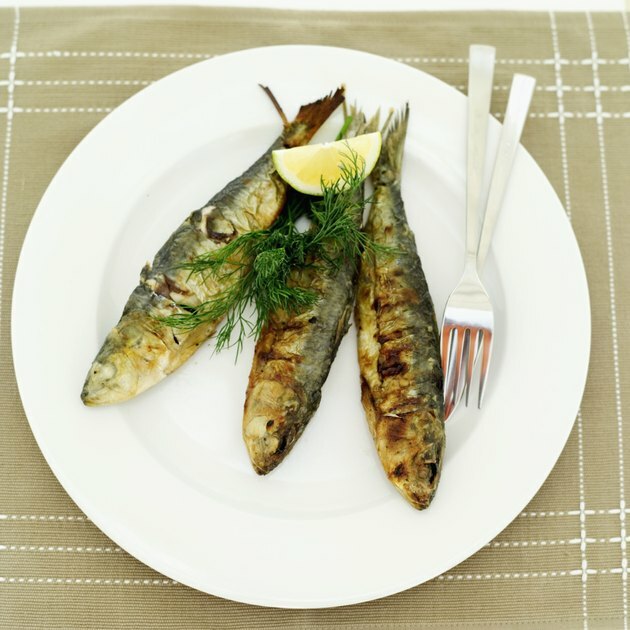 Most fish are high in polyunsaturated fats, specifically omega-3 fatty acids. However, several varieties of fish offer appreciable amounts of monounsaturated fat. These include Atlantic pickled herring, halibut, sablefish and mackerel. The only breakfast cereal considered to be a very good food source of monounsaturated fat is ready-to-eat, commercially prepared granola. Butter, eggs and many varieties of cheese, such as Roquefort, muenster, Monterey jack, Parmesan, Cheshire, cream and limburger, are good food sources of monounsaturated fat.